Pre-menopausal South Asian women could be more at risk of developing osteoporosis in later life than white Caucasian women, a new study in the Journal Bone reports. In the first study of its kind, researchers from the University of Surrey examined bone resportion (the breakdown of bone tissue by osteoclast cells) in over 370 pre and post-menopausal South Asian and white Caucasian women in the UK. Bone resorption is a natural process which enables the transfer of calcium from bone tissue into the bloodstream and is required to allow bone to adapt itself to challenges (e.g. change in a person’s activity levels) and repair damage. However, if excessive, and not balanced by equivalent bone formation, overtime this can be detrimental to bone health. Monitoring the women over a 12-month period, researchers measured levels of ‘urinary N terminal telopeptide’, a by-product of bone resorption found in urine, to assess how much bone was being broken down. They discovered that pre-menopausal South Asian women had higher levels of this by- product in their urine than their white Caucasian counterparts, indicating elevated levels of bone resorption than would be expected for their age. Typically high levels of this by-product are only found in post-menopausal women, as was the case with the post-menopausal participants in this study. This indicates that osteoclast cells in pre-menopausal South Asian women might be breaking down bones at a quicker rate than they are being reformed, making these women more susceptible to osteoporosis and fractures in later life. 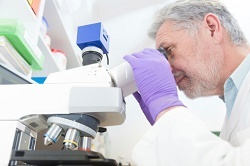 Researchers will now undertake an investigation into bone formation, assessing activity of the osteoblast cells which form bone tissue. A low activity in these cells would indicate that bones may be getting thinner, increasing the risk of osteoporosis related fractures in later life. Lead author of the paper, Dr Andrea Darling from the University of Surrey, said: “When human bones break down at a quicker pace than what they can be re-formed, bone thinning may occur which can negatively impact upon a person’s quality of life. During the study researchers also examined Vitamin D levels of pre and post-menopausal participants and its impact on bone resorption. Vitamin D, which mainly comes from sunlight, plays a key role in the human body, including helping the body to absorb calcium and phosphorus from food which is vital for bone health. Researchers discovered that women whose Vitamin D levels fluctuated (i.e. had very high levels in summer but very low levels in winter) had higher levels of bone resorption than those whose levels remained consistent throughout the year. It was found that such a fluctuation in Vitamin D levels was more prevalent amongst the white Caucasian women, which can be attributed to lifestyle choices (e.g. summer sunbathing). To further examine the impact of fluctuating Vitamin D on bone health, the researchers will now investigate the bone formation levels in participants. It is suggested that if bone formation is low in those who have high levels of Vitamin D in the summer and low levels in the winter, these people might need to take a Vitamin D supplement during winter months only, in order to make the levels over the course of the year more constant.